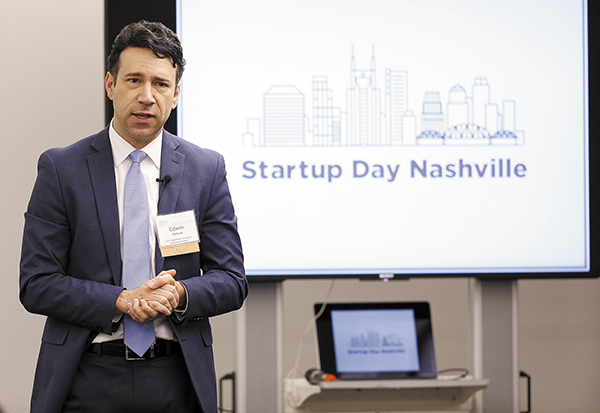 The Department of Health and Human Services (HHS) is looking to invest in innovative healthcare startups, according to an official who attended the Startup Day Nashville in June. The HHS official, Acting Chief Technology Officer Ed Simcox, spoke to local organizations about how healthcare leaders can engage with the federal government. Nashville was one of the first stops on HHS' cross-country tour of 13 cities. "We've put Nashville at the top of our list because of the amazing entrepreneurial scene," Simcox said. "We want to be the front door to HHS for entrepreneurs." Simcox explained HHS wants to drive value in healthcare by promoting open data. He cited HHS' partnership with the American Society of Nephrology to create a kidney innovation accelerator, called KidneyX, as an example of the department's plan to bring new treatment and therapies to market. "We want to lower the barriers to entry," he said. "We want to lower the amount of red tape, and we want to give you access to your government so that you can innovate. That's what we get excited about." Government agencies are excited to work with smart entrepreneurs across the country, but startup CEOs need to know how to approach the process. During the first session at Nashville Startup Day, two officials explained best practices for partnering with federal agencies. "To work with the NIH, for example, the first step is to meet with a program officer who can explain the application process and the type of funding that's available," said Anna E. Mazzucco, an analyst at the NIH. Similarly, CMS Health Insurance Administrator Sherard McKie gave an overview of his organization, including its Center for Medicare and Medicaid Innovation (CMMI). He discussed CMS' "patients over paperwork" concept, explaining the importance of patient experience and the burden administrative tasks place on physicians today. "We know that regulations are necessary to ensure patient safety," he said, "but we're also finding that some regulations are not as effective. We're working with the private sector to move toward patient-centered care and market-driven reform. And we're currently conducting a national listening tour, for providers to tell us what regulations are causing them the most burden." Despite great ideas and good intentions, smaller startups often get stuck in what Narus CEO Michael Burcham calls "pilot purgatory." In the second Startup Day session, he asked Simcox, who shared the stage with TennCare Chief Information Officer Hugh Hale, how entrepreneurs could accelerate conversations with government. "Knowledge is power," Simcox said, adding that entrepreneurs who are minorities or veterans and those with disabilities are eligible for Small Business Administration carveouts. He noted smaller companies could also partner with other, larger organizations that have already completed the procurement process. "If they could be your customer, then they may be better positioned to sell to the federal government." Organizations that support local entrepreneurs can also accelerate access, Hale said. "We have relationships with the Nashville Health Care Council, the Entrepreneur Center and other firms in the area that work with entrepreneurs closely," he said. "One of the best things you can do is to align with those groups, because then you're just one step away from an introduction." 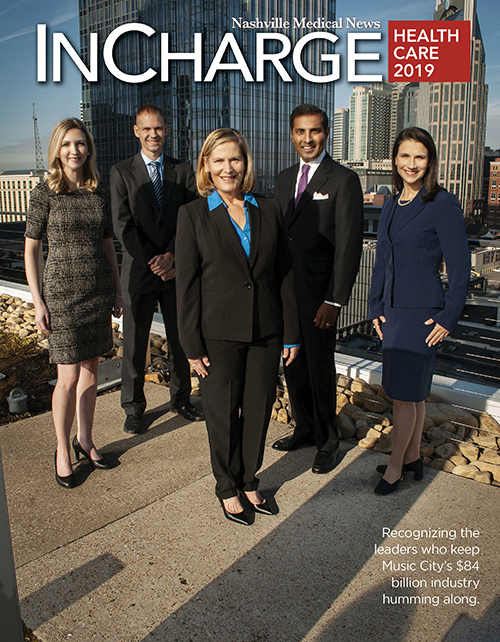 Both Hale and Simcox said that their organizations were in constant need of people who were thinking about healthcare differently - and that Middle Tennessee continues to be a fertile source for those who will change the industry. 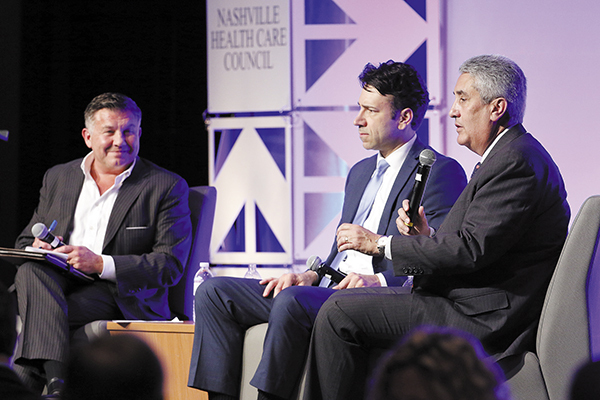 "It's our belief that TennCare needs innovation - particularly from the companies here in Nashville," Hale said. "I'm a firm believer in the innovative community here and that the next thing to really turn the needle on cost and quality is already being built in a garage in Nashville somewhere." To end the day, five local companies were put on the spot and pitched a panel of experts on stage. The panel included Microsoft's Director of Sales for Healthcare Life Sciences Connie McGee; Perception Health CEO Tod Fetherling; and Paul Currie, the chief technologist at HCA's Information Technology and Systems Department. MannieBear: Leveraging her family's powerful story of childhood traumas, founder Amanda Waller presented her company's idea to use gamification, technology and data to help establish trust between children and therapists. Synchronous Health: After admitting that technology could be part of the country's behavioral problem - and acknowledging the App Store has 4,500 apps aimed at mental health - Guy Barnard introduced "Karla," an Apple Watch bot that serves as a liaison to a licensed professional and can extend the therapy experience between visits. Utilize Health: Payers spend more than $240 billion annually to treat patients with mobility issues from strokes, brain and spinal cord injuries to neuromuscular diseases - all of which require different codes and present unique difficulties in care coordination. After a gymnastics injury paralyzed her from the waist down, CEO Jessica Harthcock launched Utilize Health to coordinate care and provide solutions for patients with neurological conditions. Belle: "Healthcare's stepchild," as Armand Lauzon described adequate foot care, is the focus of Belle, which aims at providing at-home, professional foot care for patients with diabetes and other conditions affecting their podiatric needs. The company estimates it will save payers $7 million, and 38 lives, annually per every 1,000 members. MyHealthDirect: The three personas presented by Mary Tackbary and Richard Moore each rely on different payers for healthcare and live very different lives - from the active new mother to the elderly Medicare Advantage member. Yet, through its member engagement technology platform, MyHealthDirect helps automate appointment scheduling and has shown dramatically improved appointment attendance for all member segments. After presenters received feedback from the onstage mentors, Simcox asked questions and offered guidance on working with the government more closely. "The government plays a huge role in healthcare, and you have to work with them," said Lauzon, with Belle. "That's why I valued today, because now I know there are a lot of individuals in the government who want to make it work for startups like ours." 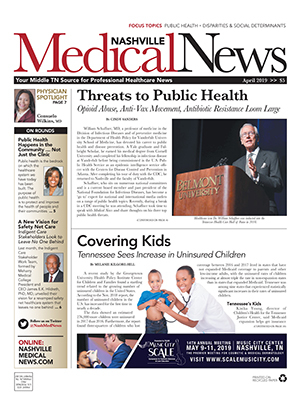 "Nashville's healthcare expertise is unmatched. 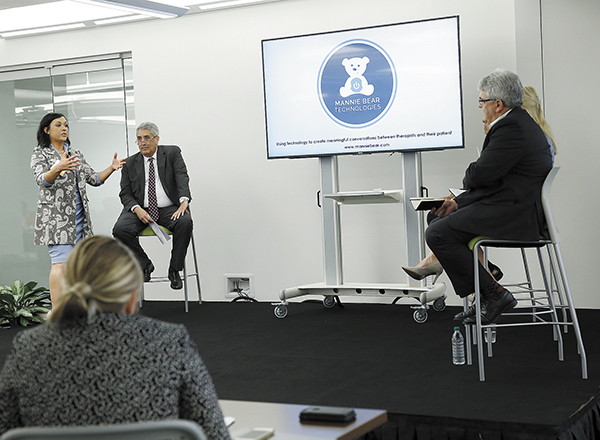 In no other place in the country can you find this level of concentrated healthcare knowledge combined with the power to enact change at a large scale in care delivery," said Hayley Hovious, president of the Nashville Health Care Council. "We are thrilled that HHS has identified Nashville as a center of innovation by coming here to interact with our community." "Startup Day Nashville featuring HHS" was hosted by the Nashville Health Care Council, Nashville Entrepreneur Center, Nashville Technology Council, Nashville Area Chamber of Commerce, Tennessee HIMSS, Center for Medical Interoperability and Life Science Tennessee.